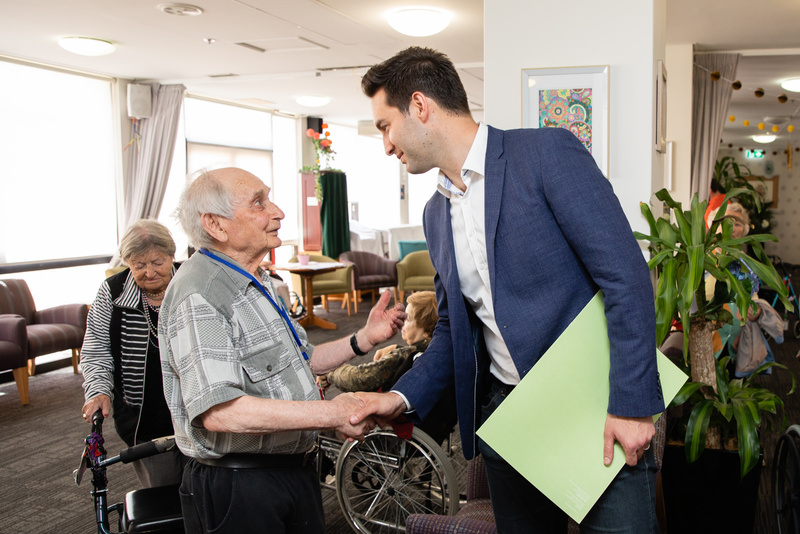 The Labor Government election campaign trail hit Jewish Care Victoria yesterday. 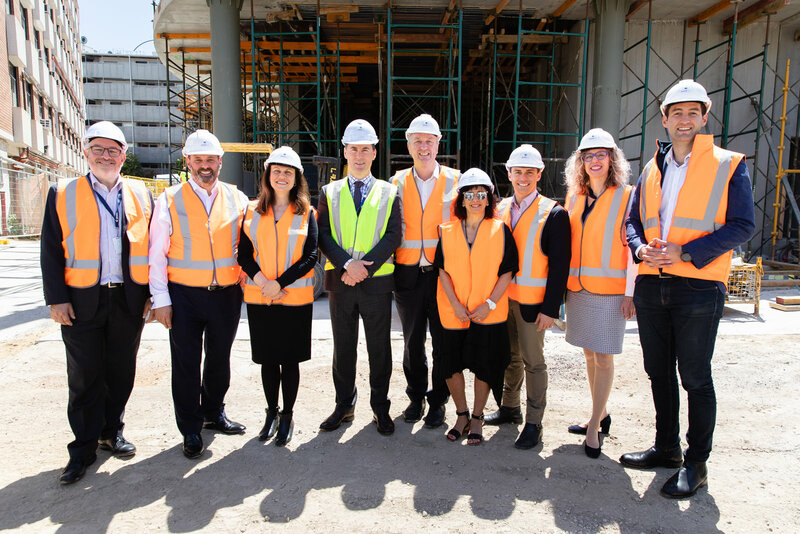 State Government Ministers and Labor Candidates visited the iconic St Kilda Road headquarters, chatted with Elders at Montefiore Homes and toured The Hannah & Daryl Cohen Family Building construction site. 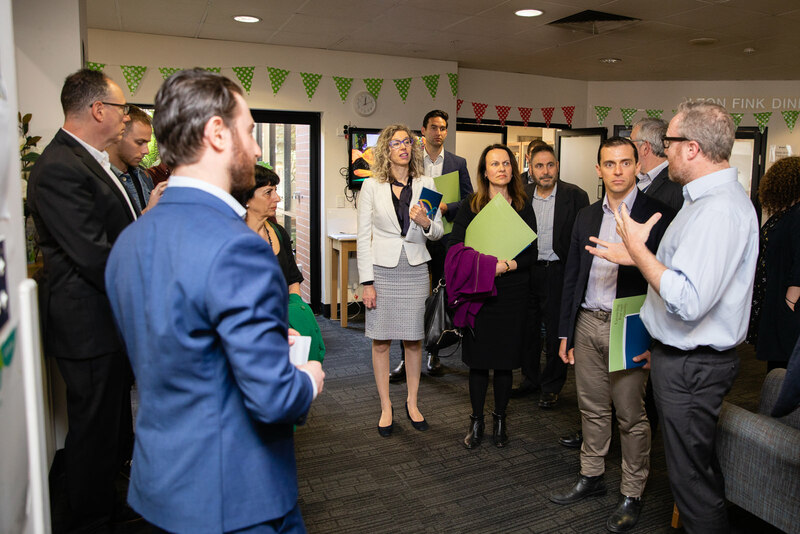 Minster of Housing, Ageing & Disability; Creative Industries; Equality; and Mental Health, Martin Foley MP and Minister for Trade & Investment; Innovation & the Digital Economy; and Small Business, Philip Dalidakis MP were joined on the visit by Victorian Labor candidates Neil Pharaoh (Prahran), Sorina Grasso (Caulfield), Nina Taylor (Southern Metropolitan Region) and Federal Labor Candidate for Macnamara, Josh Burns. 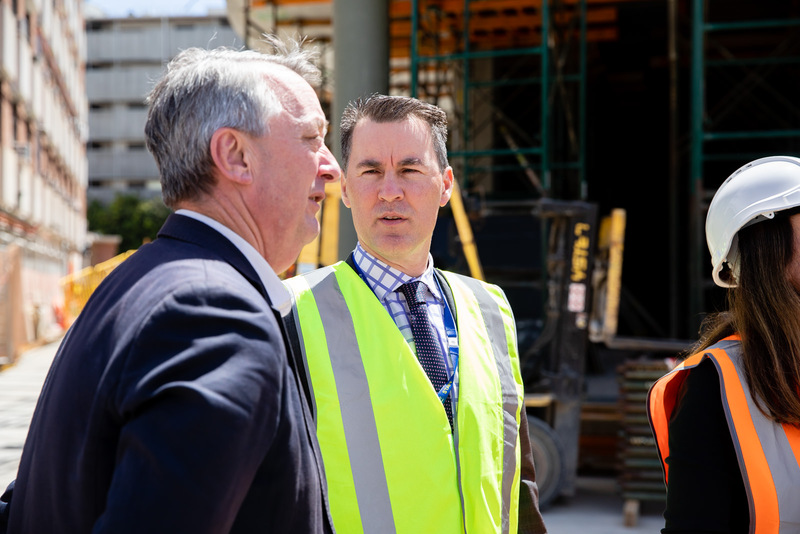 During the visit, the Andrews Government pledged, if re-elected, to commit a $625,000 contribution to the construction of Jewish Care’s $90M Hannah & Daryl Cohen Family Building, which is due for completion in November 2019. "Our older generations have given us so much – it's only fitting we make sure they get the care and dignity they deserve in their later years," Minister Foley said. 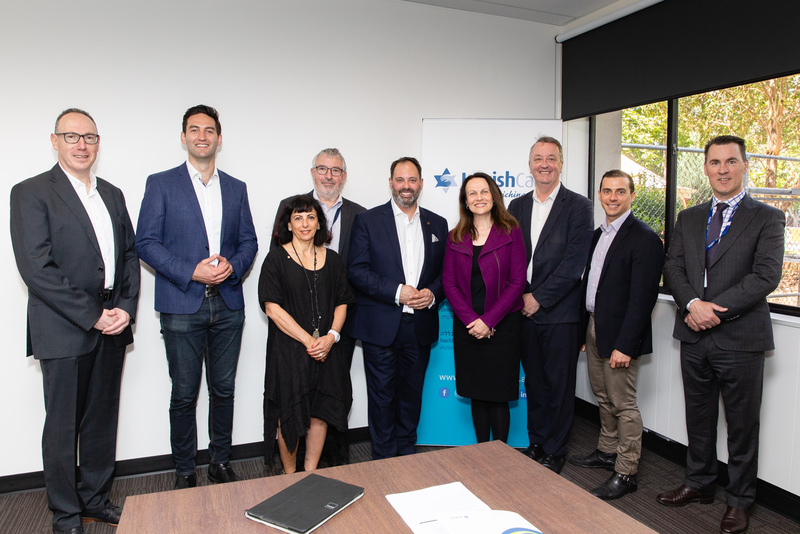 "We thank Ministers Foley and Dalidakis, and the Labor candidates for Caulfield, Prahran, the Southern Metropolitan Region and Macnamara for taking the time to visit Jewish Care," said Jewish Care CEO Bill Appleby. 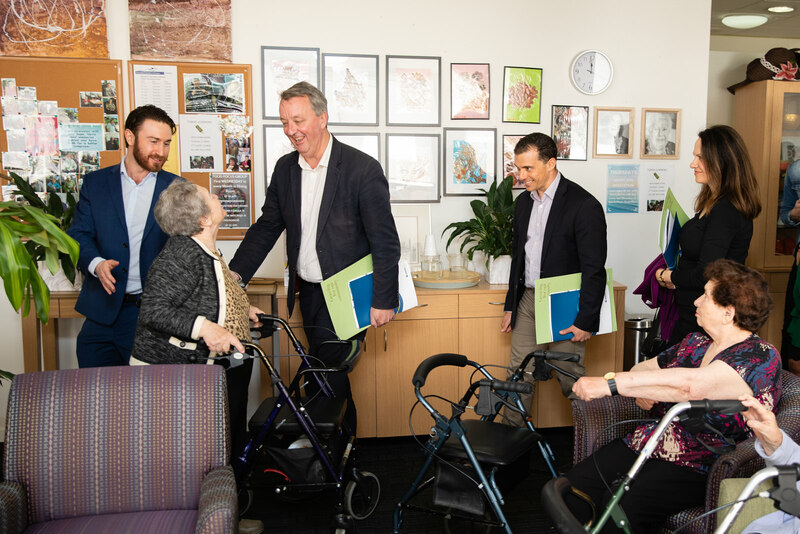 "We welcome the Andrews government’s pledge to commit $625,000 to support the construction of The Hannah & Daryl Cohen Family Building which will not only provide an inclusive and heimish home for our Elders, but also be a welcoming and vibrant hub for the community to share." "Jewish Care has supported the Victorian Jewish community for the past 170 years. The Hannah & Daryl Cohen Family Building, which is being built as part of our 'Growing. For the Community.' Capital Campaign, will enable us to continue to provide quality care and support for future generations," Mike Debinski, President of Jewish Care, stated. "Today’s announcement is further acknowledgement of the vital role Jewish Care plays in strengthening the Victorian Jewish community. We thank the Andrews Government for this generous pledge of support."